Annealed Wire - Loos & Co., Inc.
Annealing wire involves softening materials by subjecting them to a heat cycle. In turn, this relieves internal stress and induces flexibility improving cold working properties. Annealed wire products are used in applications such as tie wire, weaving for wire mesh, and binding wire in construction. 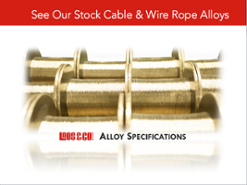 Loos and Company manufactures and ships annealed wire from stock 302, 303, 304, 305, 316, 321, 347, & 400 Series, 17-7 pH, Monel® and Inconel® alloys. Other alloys available upon request. 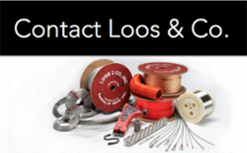 Loos and Company stocks and ships annealed wire in coils, on carriers, on spools, and on reels. 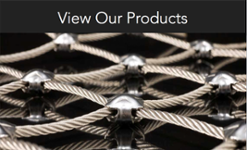 We can package your wire however you would like.